The State Library of Victoria pays tribute to Barbara Tucker, who has passed away at the age of 80. Barbara married Australian painter Albert Tucker in 1964. She resigned from her editing job at the University of Melbourne to help build a home and studio at Hurstbridge, where the Tuckers lived for many years before moving to St Kilda and finally to Hoddles Creek. They were married for 35 years before Albert’s death in 1999. A proficient businesswoman and bookshop owner, Barbara became devoted to his legacy and the administration of the Tucker estate. Albert Tucker recognised the State Library of Victoria as the place where he obtained an education, having left school at a young age to work. He honoured this with gifts to the Library including a portrait of Barrett Reid in 1998. Barbara continued this relationship with a major donation in 2004 and six significant gifts to the collection between 2001 and 2012. The Papers of Albert Tucker pertain to Tucker’s life with Joy Hester and the Reeds at Heide, including correspondence with Sidney Nolan later published in Bert and Ned (edited by Patrick McCaughey, 2006), with Barbara’s encouragement. The Albert Tucker Photographic Collection – from the same period – was a joint gift to the Heide Museum of Modern Art and the State Library. Barbara donated to the Library four rare wooden Japanese “pillow books” from Tucker’s post-war travels as an art correspondent; a Snider Enfield rifle which belonged to Ned Kelly (one of Tucker’s prized possessions); and Jackson’s Creek, Sunbury(oil on canvas, c.1867) by Henry Gritten, currently on display in the Cowen Gallery. In 2012, to mark the centenary of the Library dome, she donated Tucker’s portraits of John and Sunday Reed. Barbara has given generously to myriad cultural institutions throughout Australia, including the National Gallery of Australia, National Portrait Gallery, Art Gallery of New South Wales, National Gallery of Victoria, Monash Gallery of Art and Benalla Art Gallery. Her 2006 gift to the Heide Museum comprised over 200 works by Albert Tucker, Joy Hester, Arthur Boyd, Sidney Nolan, and Danila Vassilieff. She has left an extraordinary legacy to Australian artistic and cultural life. Barbara was a founding member of the Redmond Barry Society at the State Library. She is remembered as a warm hostess and wonderful cook, with a keen intelligence and sense of curiosity. A memorial service for Barbara Tucker will be held at the Heide Museum of Modern Art in June. 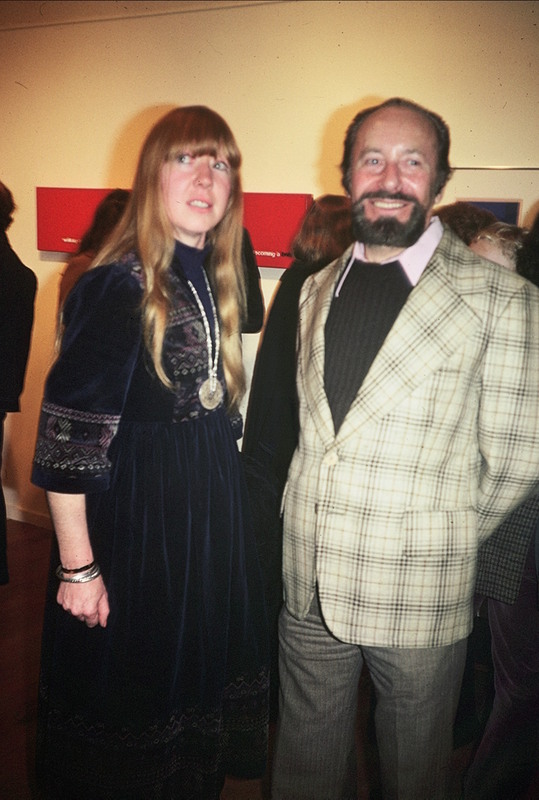 Barbara and Albert Tucker at a gallery event in Melbourne, mid 1970s, photographed by Rhonda Senbergs.